But really I just want to go to Paris and ride a bicycle, and sit in a café while I sip espresso and eat a freshly baked croissant. I want to sit there and write. I want to dream, I want to breath in culture. I want to wear fun hats and pretty dresses with high heels. I want to kiss a stranger and never see him again. I want to do cartwheels at the bottom of the Eiffel Tower. I want to ride the Ferris Wheel and see the city from up high. I want to stroll the Avenue Des Champs-Elysees. 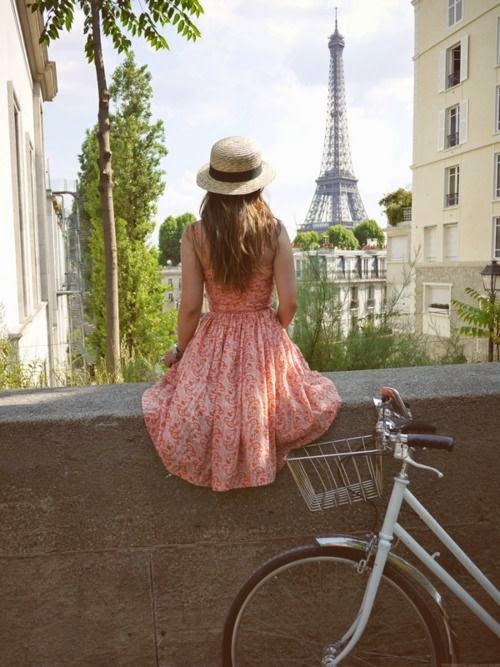 I want to have this memory forever, where I got to feel young and I got to feel pretty in Paris. Love and Dreaming... What's New?